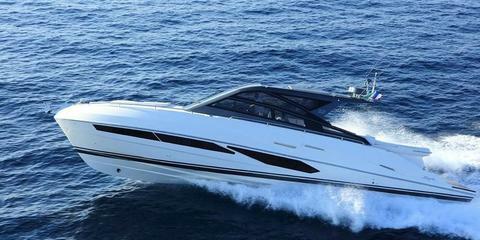 Boat very equipped, like new, characterized by an elegant style that combines modernity and grit. 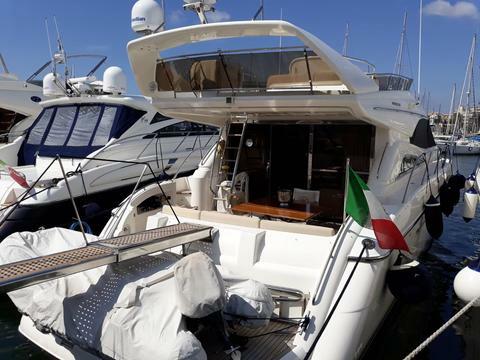 Characterized by a large external hard-top with hydraulic opening that allows you to enjoy the sea in every situation and PAL with a lowered gunwales facilitate the step forward. 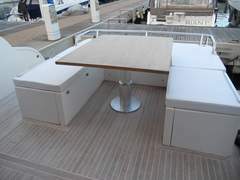 Large C-shaped sofa with Central folding table convertible into chairs. 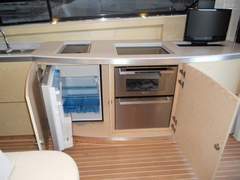 Interior materials of excellent quality and style of the site, have a large modern kitchen with ceramic hob, fridge and oven. Comfortable L-shaped sofa with table contrapposto. Central helm with highly visible instrumentation. 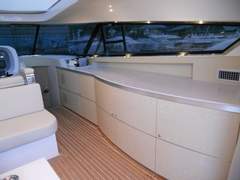 Below deck there is a dinette with table and satellite tv gave full light countered. 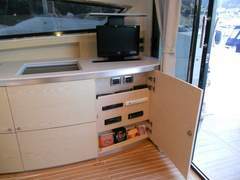 Bow guest cabin with a double bed and a private bathroom. 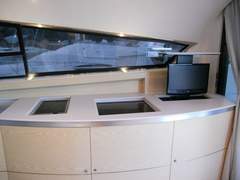 Large master cabin amidships with direct access to local private bathroom with shower and bidet. On the boat there is a lease with possibility of takeover. 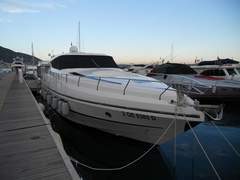 Mediation 5% + tax (if necessary) on the actual sales price. 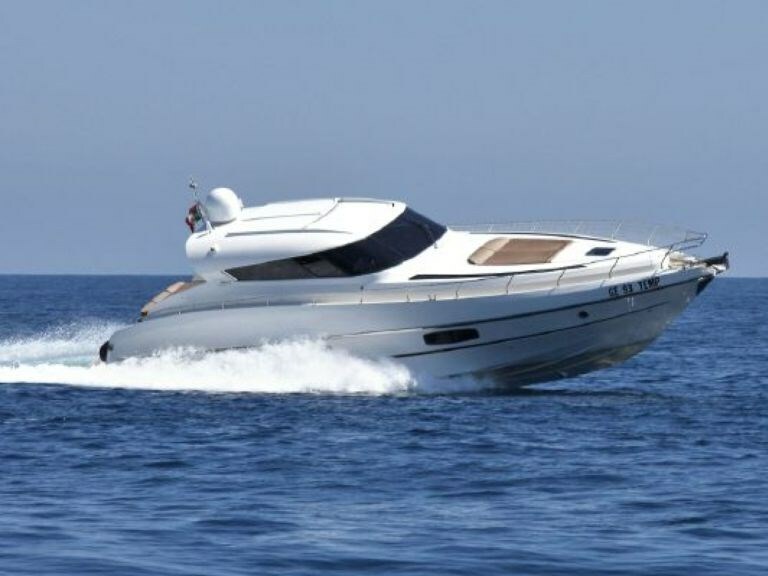 Electronic engine control, Chain counter, DSC vhf, Joystick. 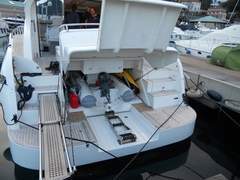 Engine Alarm, Water pressure pump, Teak Cockpit, Shorepower connector, 2 Stern Winches. Inverter Air Conditioning, 12V Outlets. 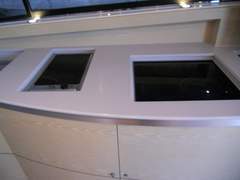 Galley (Piano cottura in vetroceramica). 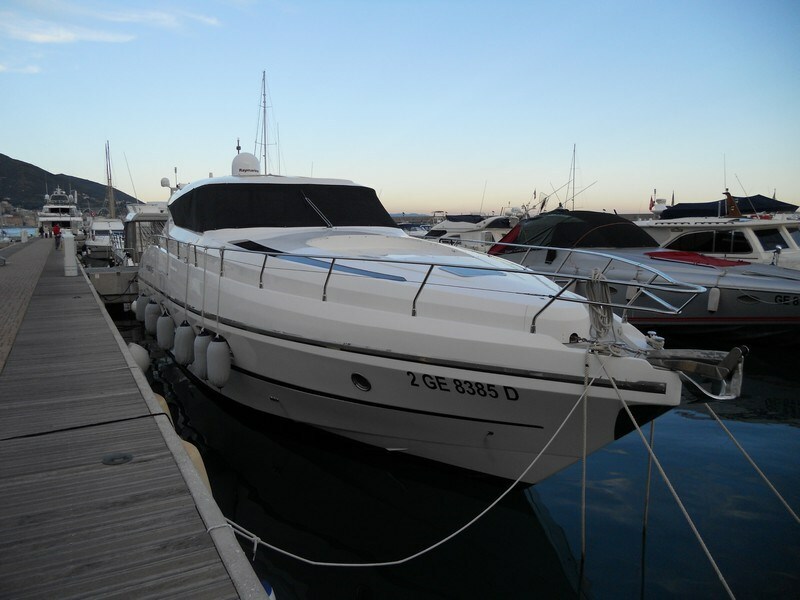 price: € 900,000, VAT incl.